In 2017, Corpus Christi will be held from Thursday, June 15th to Sunday, June 18th. And if you’re lucky enough to be visiting the city on these dates, here are some must-see events you won’t want to miss! This religious procession is the more solemn and serious of the two. 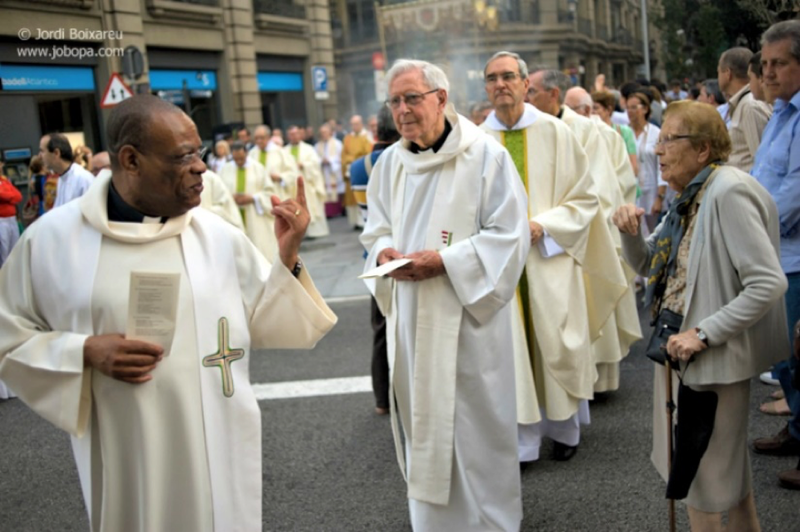 It begins in front of La Seu cathedral in Avinguda de la Catedral and winds its way through Plaça Nova, Carrer dels Arcs, Portal de l’Àngel, Carrer Comtal, Via Laietana, and Carrer de Joaquim Pou, before returning to its starting point. You can expect to see many participants wearing religious attire and carrying statues of Christ. Much more light-hearted than the previous one, this procession begins at Plaça de Sant Jaume and passes through Carrer del Bisbe before ending in Plaça Nova. 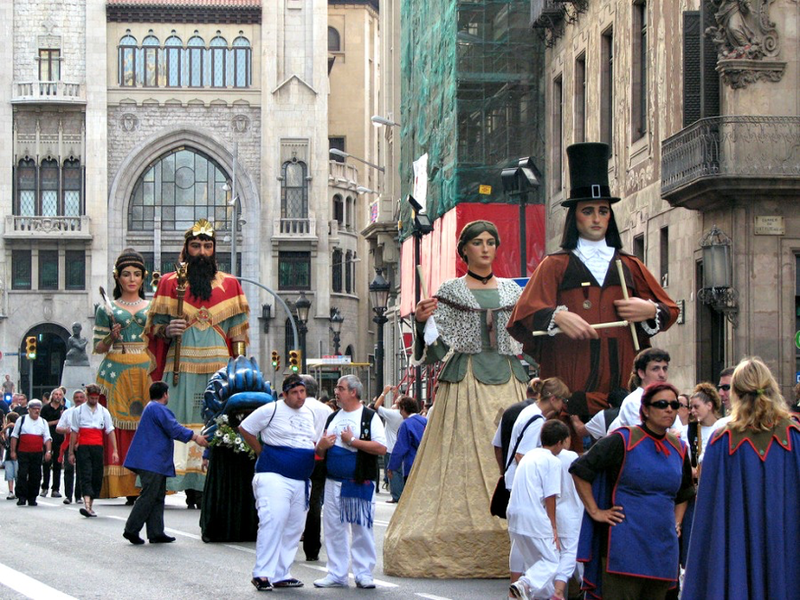 As well as the feel-good music and lively dancing, this procession is best known for the famous gegants (giants). These larger than life models represent people of great importance and powerful animals, such as eagles, lions, dragons and oxen. 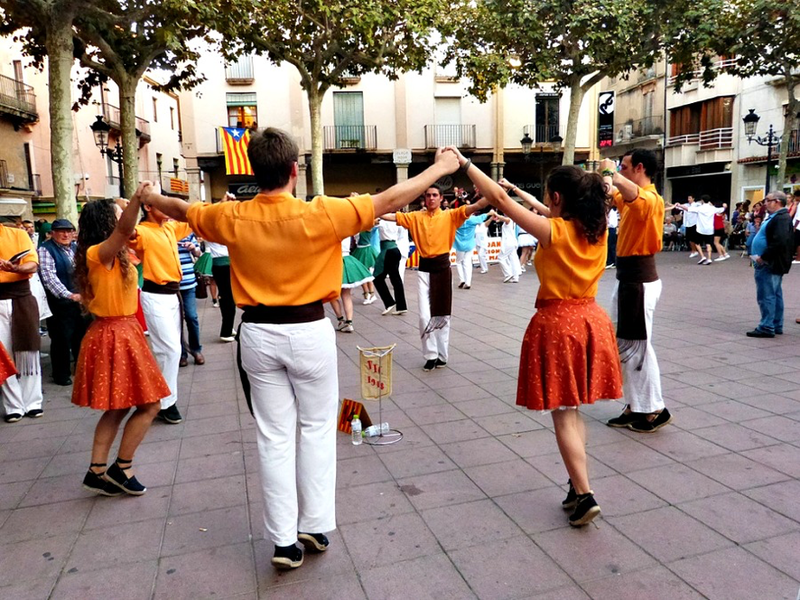 Held each year on Thursday 7pm at the Plaza de Sant Jaume, this event showcases a traditional dance that goes back a long way in Barcelona. 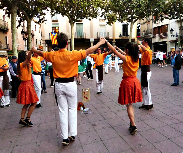 A group of people wearing typical clothing hold hands and dance in a circle to live music played by a band on 10 wind instruments, a double bass and a small drum. This tradition is as strange as it sounds. 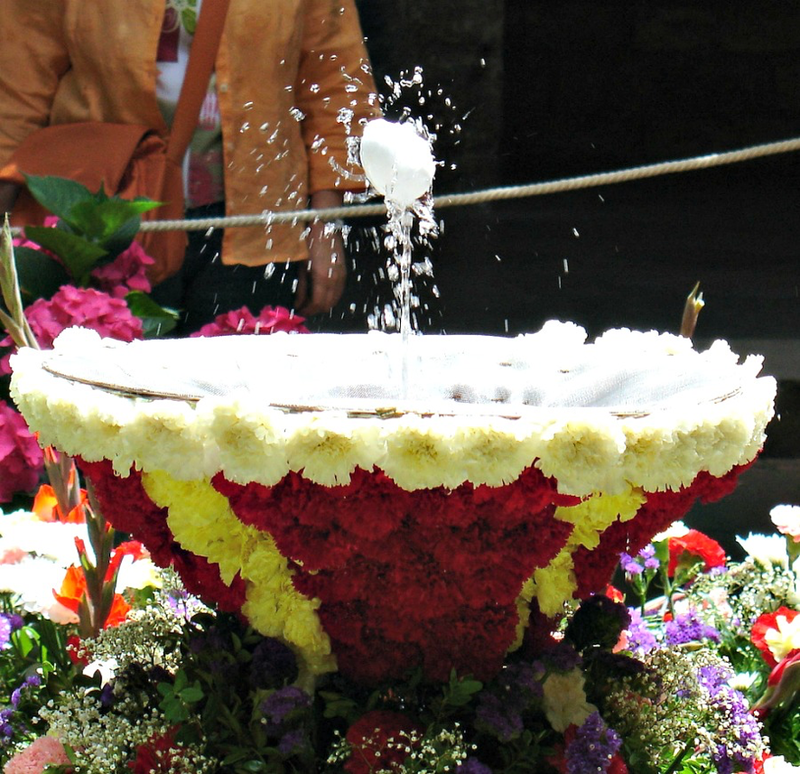 Search around Barcelona’s churches, gardens, courtyards and public buildings and you’ll usually find fountains decorated in beautiful floral displays spouting coloured water. Look carefully at the top of the water and you’ll see what appears to be a dancing egg. There’s very little known about this unusual tradition, but most theories say that the egg represents Christ, fertility or rebirth. 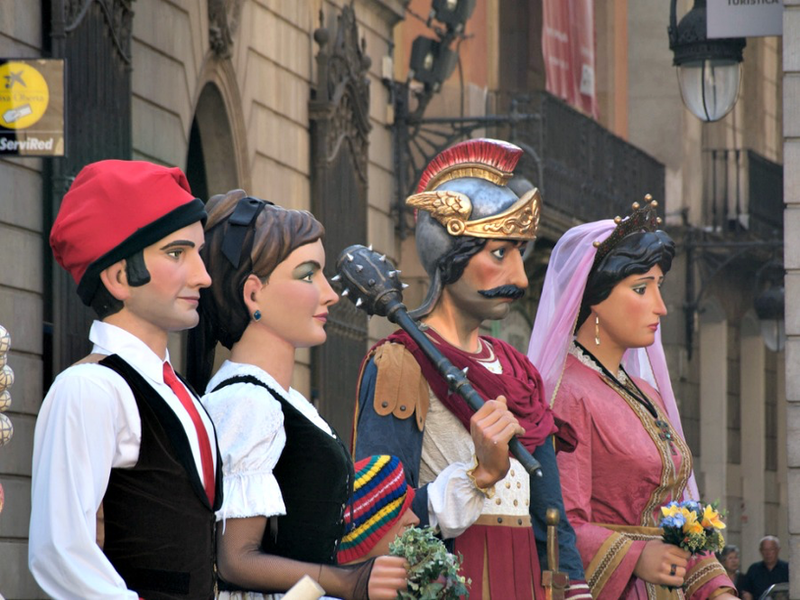 Some of the best L’Ou Com Balla can be seen at Reial Acadèmia de Bones Lletres, around La Seu cathedral and in Poble Espanyol. Book your family room in Sarrià and come celebrate with us!